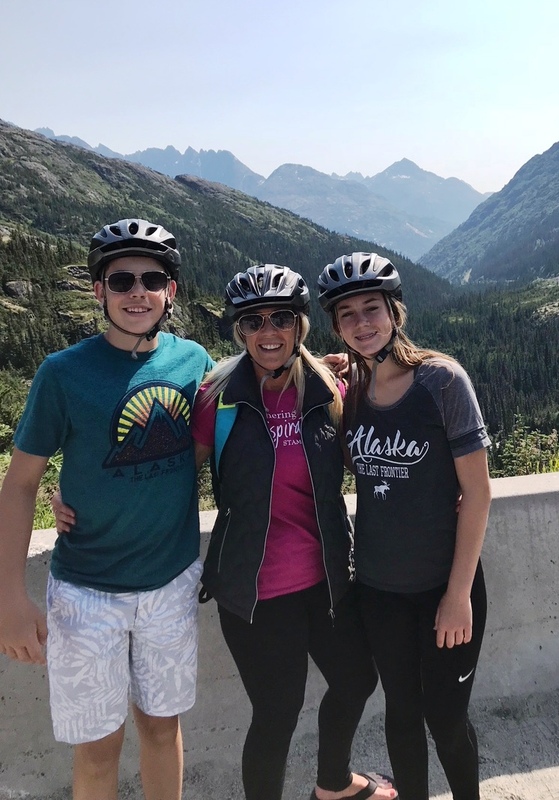 The kids and I just got back from our Alaskan Cruise and pre-trip to Seattle :). We had an awesome trip and made some wonderful memories!! 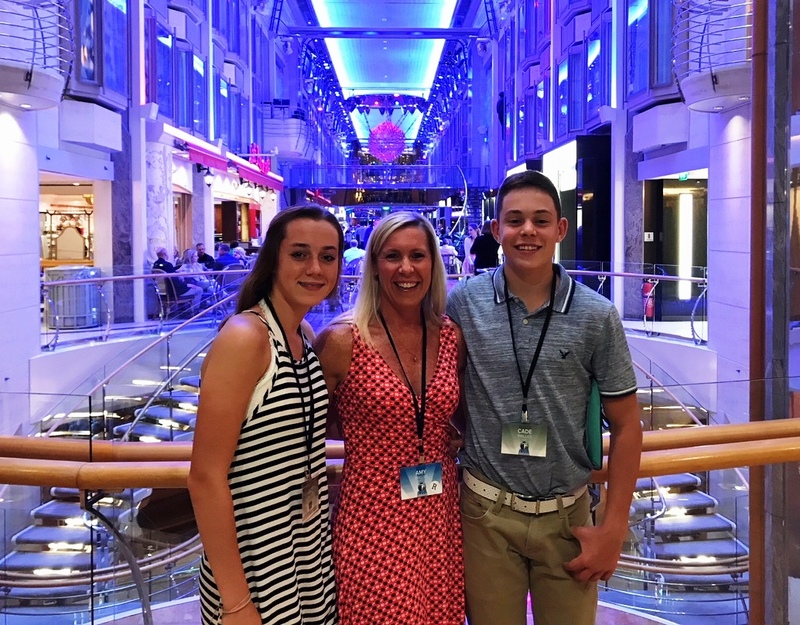 I'm not sure I can express how much this trip meant to me, to be able to spend quality time with my kids and really connect in a way we don't do enough of when we're at home in our busy lives! I'm so grateful that I was able to spend this special time with my kids!! Soooooo.... I've been fighting with my phone and computer for the past 2 days trying to get my pictures uploaded so that I can do this blog post.... A few pics have uploaded (see the two above! ), but I've basically given up for now because there is so much else I need to get caught up on!! For now, I'll refer you to our Gathering Inkspiration Stamp Studio Facebook Group, where I was able to post a number of pictures from our trip over the last week - you can check them out anytime here!! Just search #alaskasu2018 on the group page (use the looking glass) to see all of my trip posts :). And.... I've extended the Alaskan Cruise Special through July 31. You can see all of the details on this special here. You must use Host Code VACWEN7Z in order to participate in the Alaskan Cruise special. 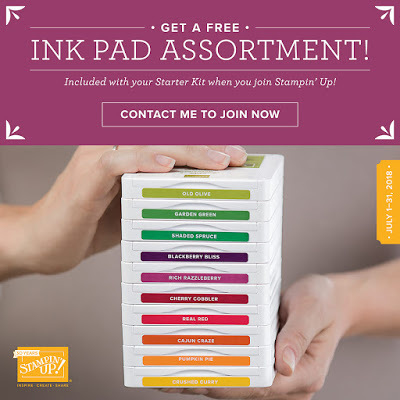 You have just 2 days left to take advantage of the Stampin' Up! Starter Kit Deal going on right now that includes.... 10 FREE INK PADS!!!!! Also... the Buy 3, Get 1 Free Designer Series Paper Sale ends on July 31, too!! Don't miss out on this awesome Designer Series Paper Sale!!! When you buy 3 packs of Designer Series Paper by July 31, you can get 1 FREE!!! You can see all of the Designer Series Paper included in the sale here!! You can shop the Designer Series Paper sale here! !